Garage Dusty In Japan: Yokohama. Wow. 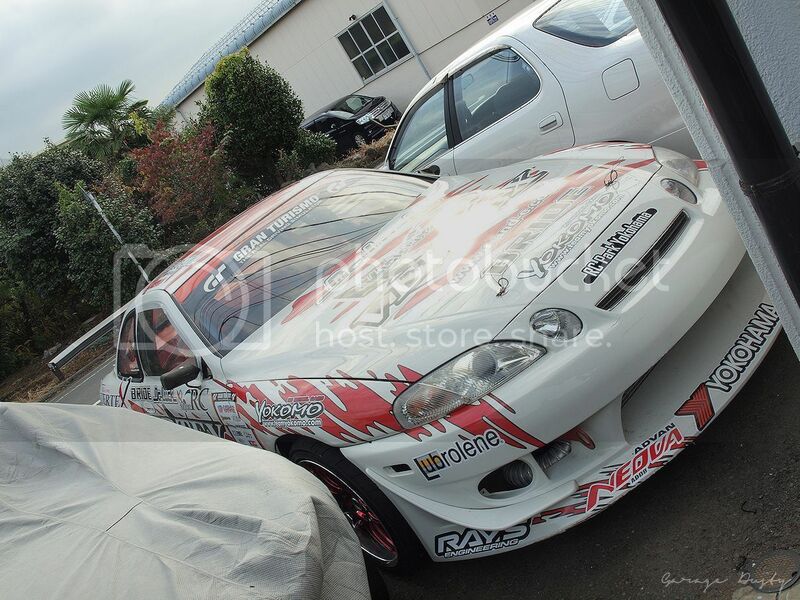 – Garage Dusty Exciting Car Team! Garage Dusty In Japan: Yokohama. Wow. Today, Day 3 of the trip, will probably go down in history as the greatest day ever in the history of everything. 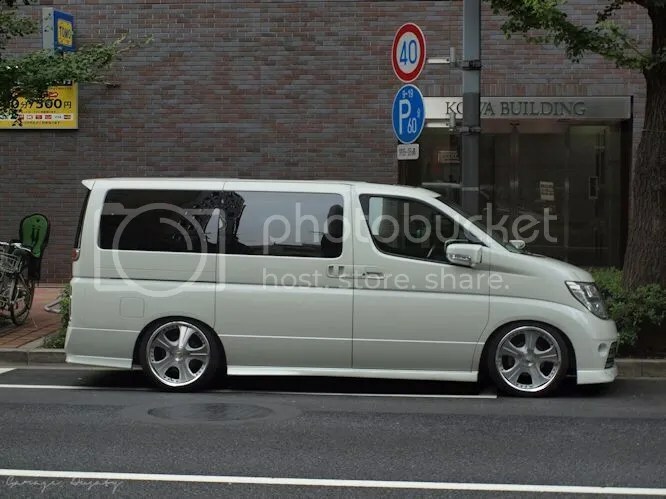 The day started out sensible enough, with a quick trip to Yodobashi Camera in Shinjuku providing me with an opportunity to grab a quintessentially Japanese shot of a lightly modified Elgrand parked on the street. From there, though, the day just got silly. We decided to hop a train to Yokohama to Visit Car Make T&E and an Up Garage. It was, in hindsight, the greatest decision ever made by a group of 4 humans. After getting off the train we walked in what we thought was the general direction of T&E. In a side street not far from the station, though, Rob spotted this. Further investigation was required. 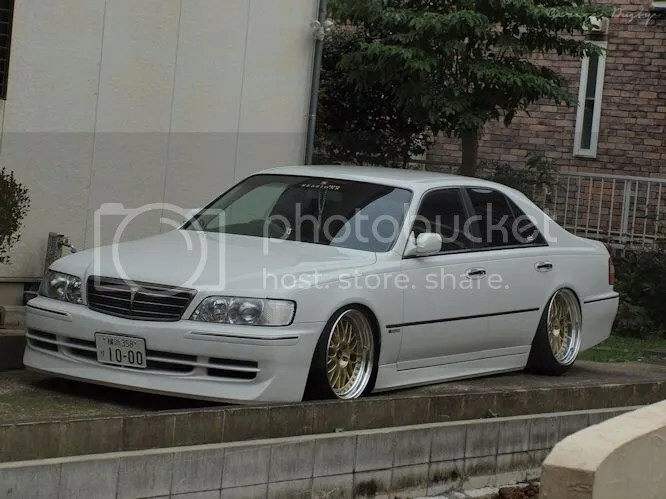 Ahem, that’d be a perfectly executed two-tone JZX100 Mark II graced with one of Ueno-San’s creations, thank you very much. 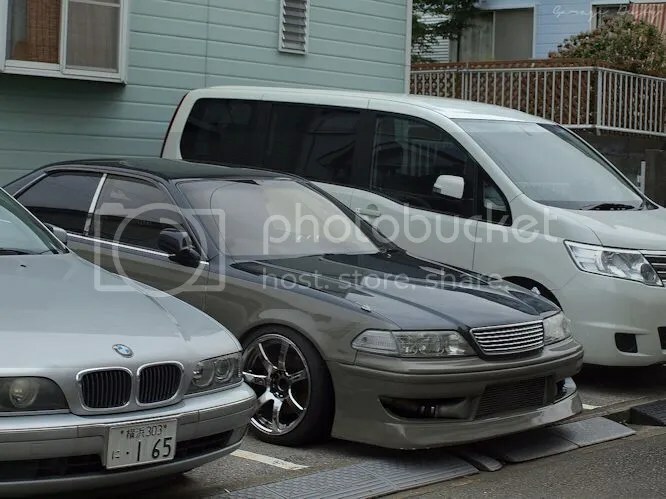 It is hard to explain the excitement of seeing something like this parked in a tiny residential street in Japan. Of course, we still had a workshop to find so we walked on. 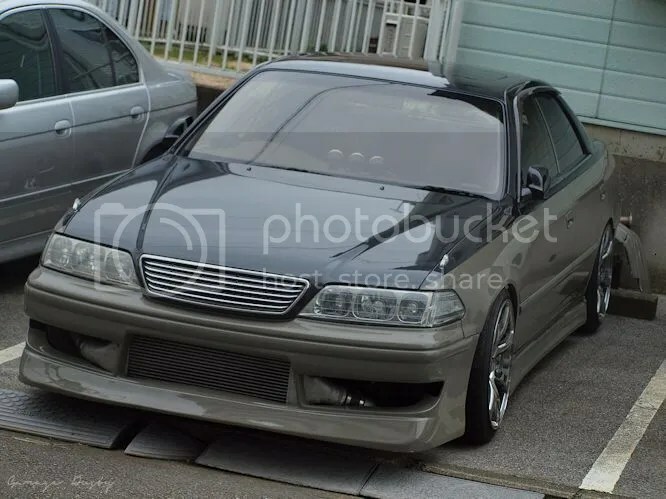 Our progress was halted again, though, when I spotted this perfect – PERFECT – VIP styled Y33 Cima. 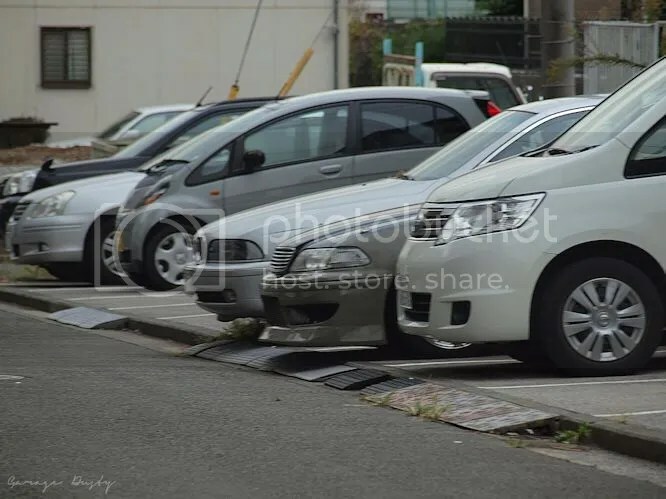 In the same street! 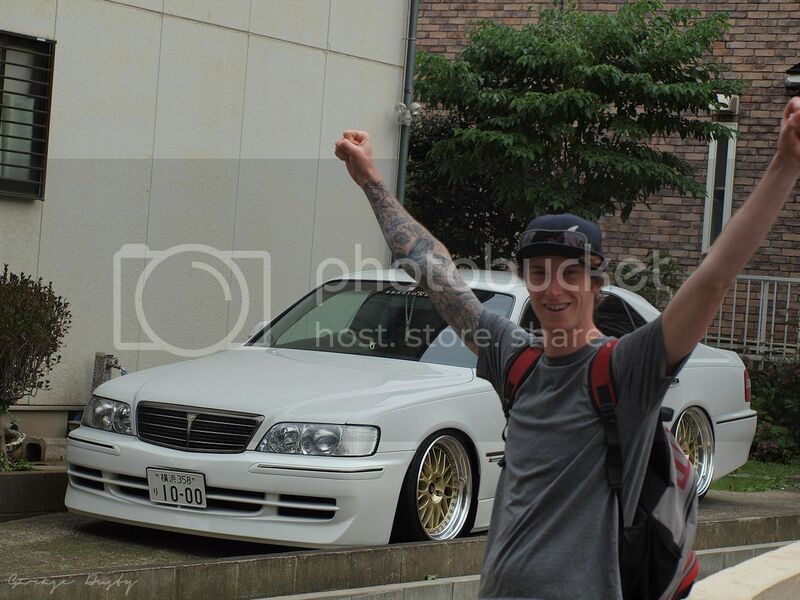 As I said, it is hard to explain the excitement involved here so Rob attempted to display it visually. King of the world! You’ve got nothing, DiCaprio. 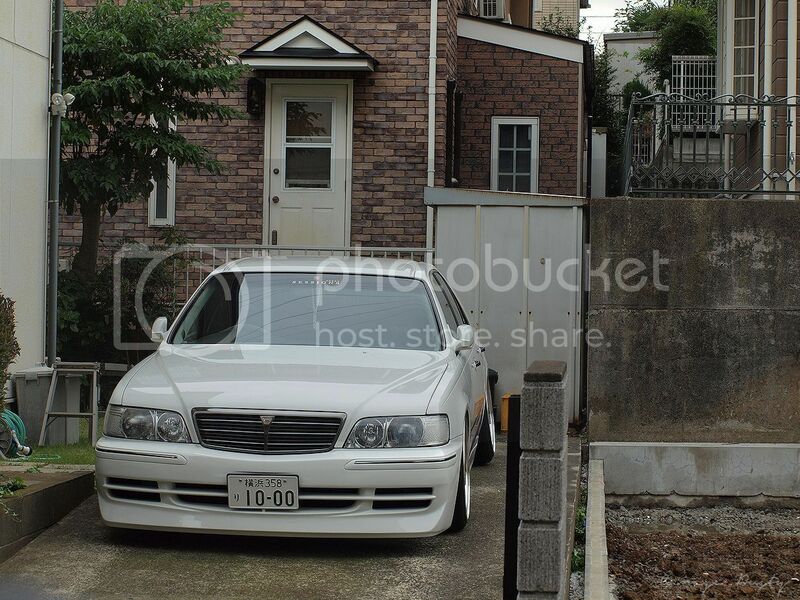 A slammed, cambered out, street driven VIP Cima parked in a beautiful Japanese street. What could be better? Well, there is something. But more on that later. 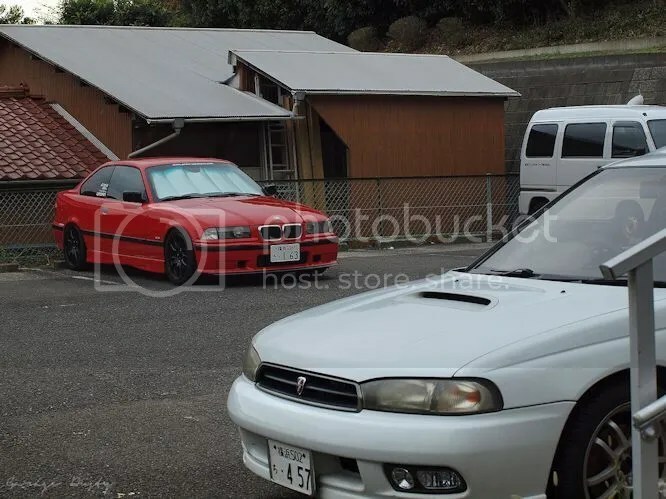 Next, we spotted a very purposeful looking BMW 3 Series with a sneaky set of Advan A040s hiding in a parking lot behind a Legacy RS turbo. Over the back of that carpark we spotted this little guy. 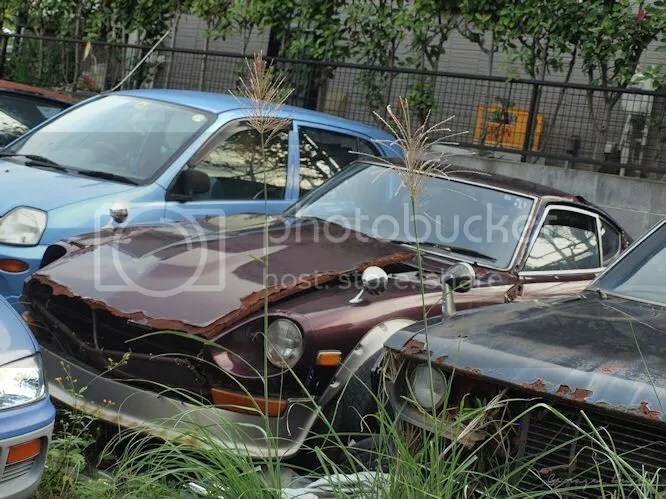 Of course, this particular Autobacs had a Nardi Deep Corn on sale for half price, didn’t it? 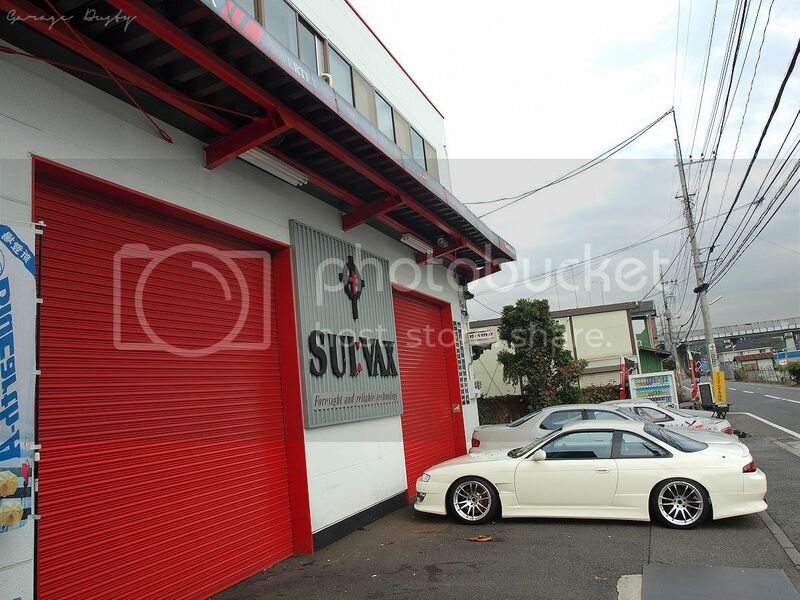 Thanks to Andrew, it will soon call a certain R33 home. 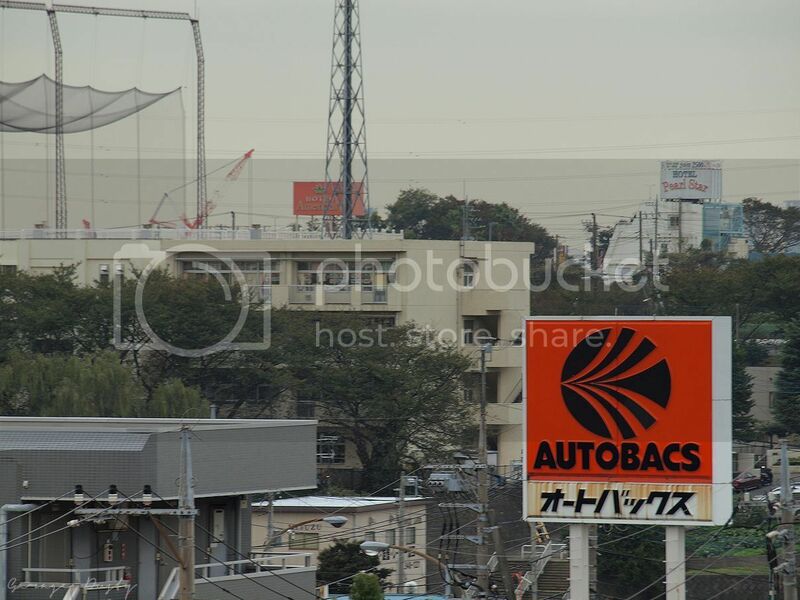 Continuing on, we did finally track down one of the most famous and influential workshops in all of Japan. Car Make T&E – most famous for the Vertex brand of aero and body styling parts. 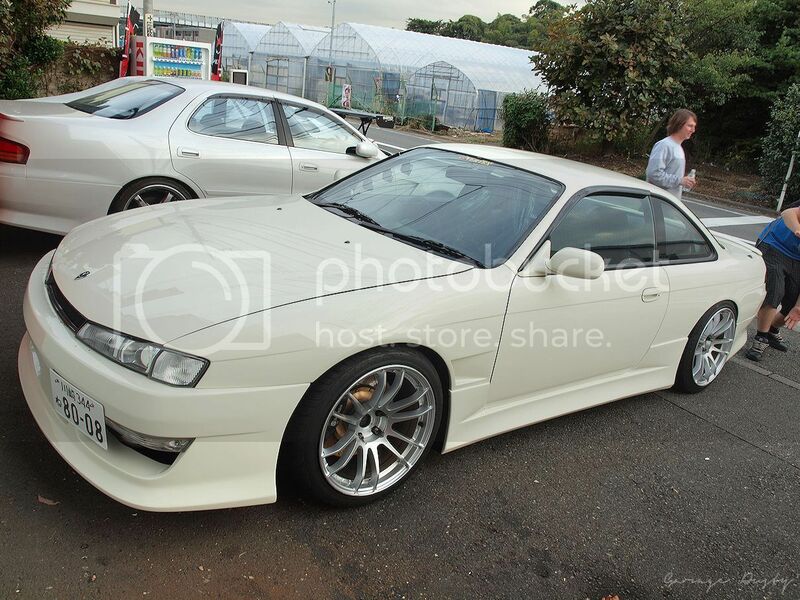 Out the front was this perfect S14a. 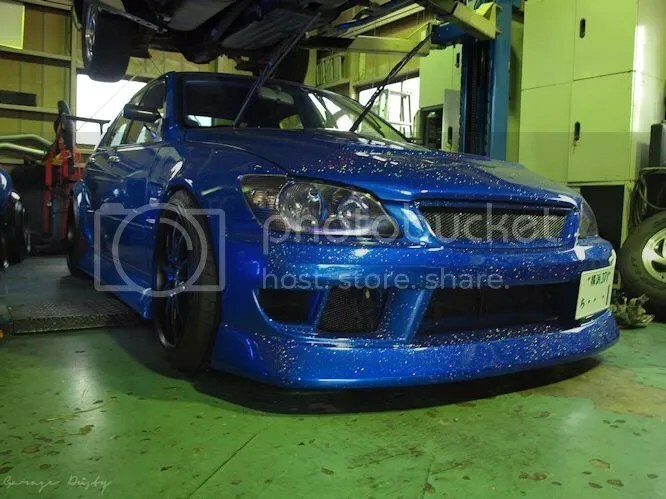 Vertex kits have always been amongst the most stylish in the world and this car shows that off. Subtle but still aggressive enough to let you know that there’s something happening here. 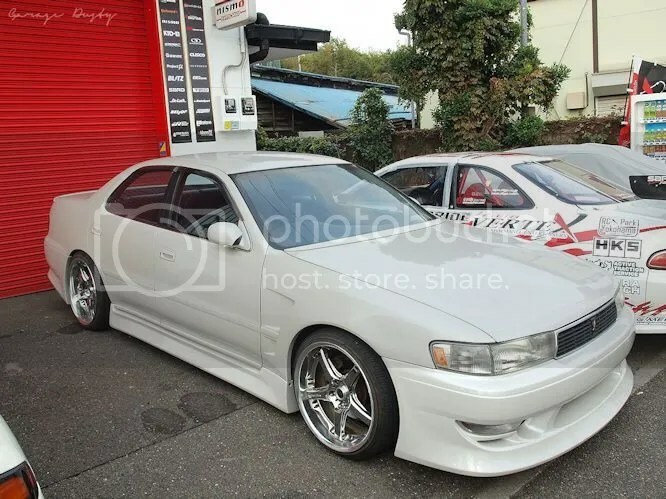 Not to be outdone was this beautiful off-white JZX90 Cresta. 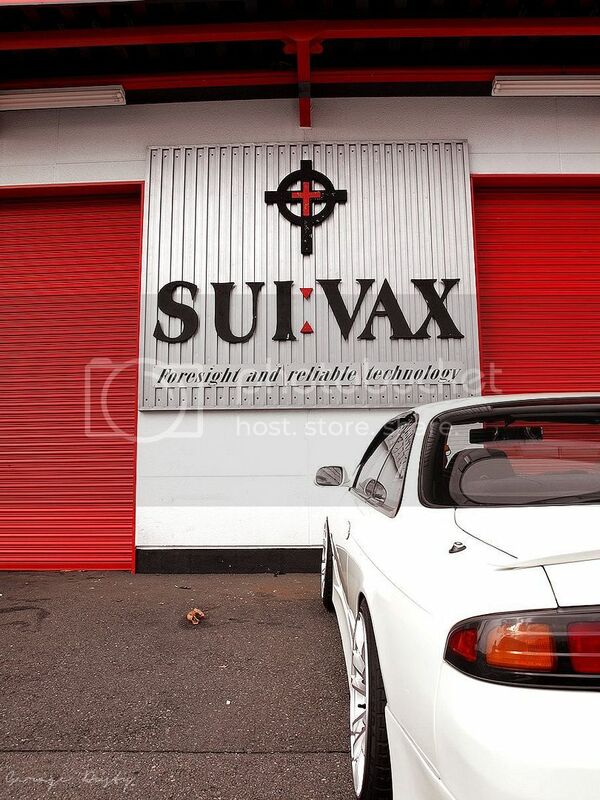 Oh, and did I mention the most famous Toyota Soarer in the world? Because yeah, that was there too. 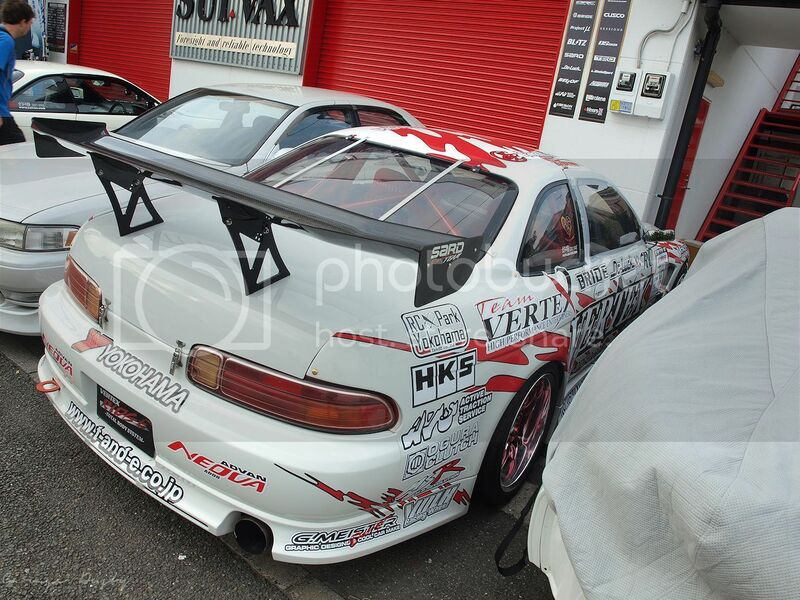 Ueno-San’s ex-D1 Soarer is still an amazing looking car. 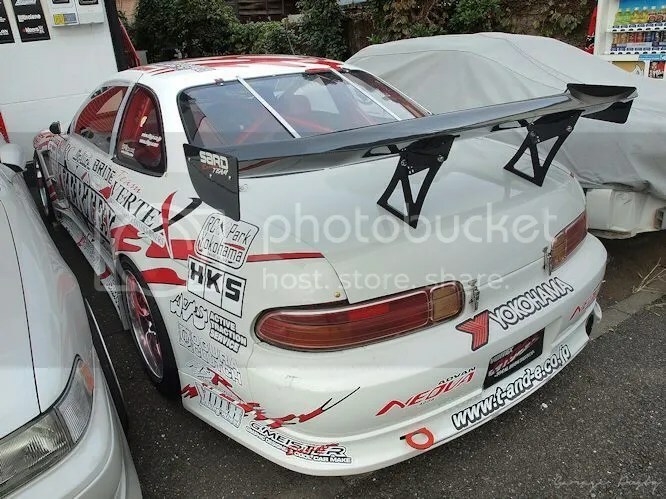 It’s easy to get blase about these things but seriously, this is UENO-SAN’S D1 SOARER, YOU GUYS. So that was Car Make T&E – the workshop that spawned one of the cars that made me fall in love with the S-Chassis and inspired my Silvia’s interior. We all bought some stickers (I grabbed an original Vertex logo to represent that old 180SX), and Andrew grabbed the Vertex steering wheel he has wanted since he was born. Success. On to Up Garage, then. The guy who served us, though, told us that Weld was just a 10 minute walk down the street. That’s something you don’t pass up. Up Garage would have to wait a little while. 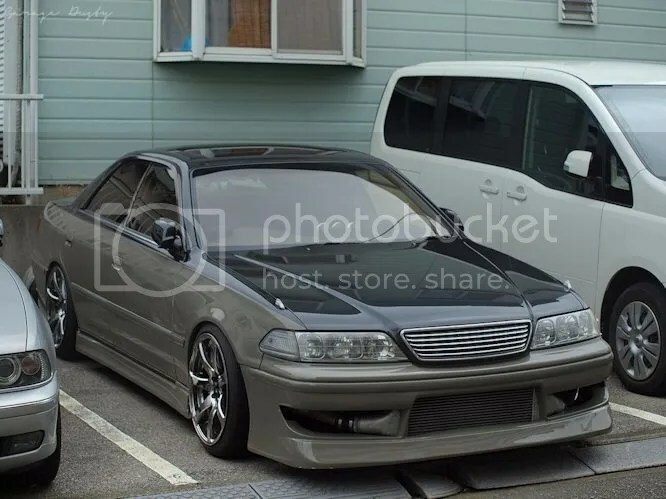 We headed back up the hill, past a very scary looking leather-clad gentleman having big chrome wheels fitted to his black Lexus LS460l, past a parade of wild cars including a vicious sounding C35 Laurel drift car and a slammed Kei-car blasting J-Pop and tucking all 4 14″ wheels, in search of Weld. A couple of classic old Cedrics that appeared to have turned their last wheel. So sad. 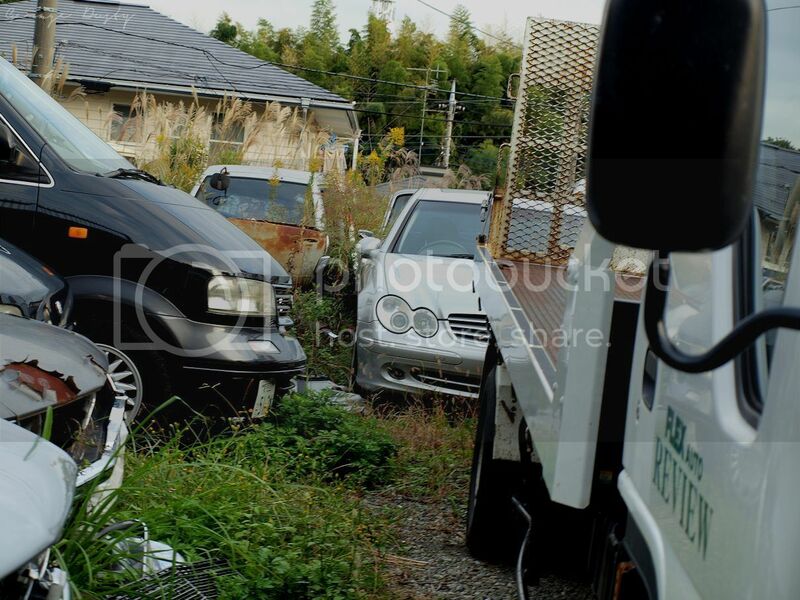 And yeah, of course you’d throw out your early 2000s Mercedes Benz. Why not? But still, we searched on for Weld. Fortunately, we didn’t find it. …in the other corner was this. 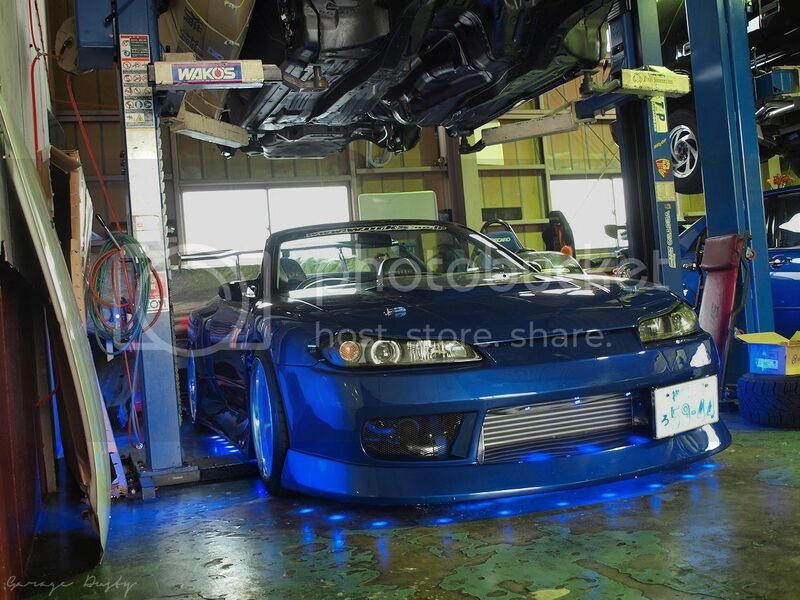 Some of you might remember this car from a High Performance Imports magazine feature about 4 years ago. 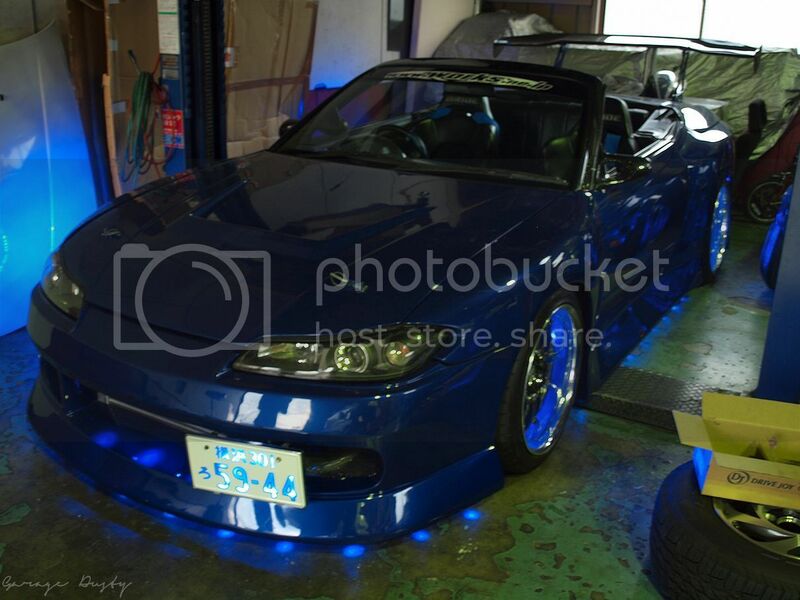 The owner connected the battery for us and fired up the blue puddle lights, number plate and in-wheel lights to give us the full impact of this amazing car. It’s a BN-Blister kitted, SR20DET converted S15 Varietta, for those who don’t remember it, and is probably one of the most amazing looking S-Chassis cars in the world. And we found it while we were lost and the owner welcomed us into his workshop to photograph it. That just doesn’t happen, does it? 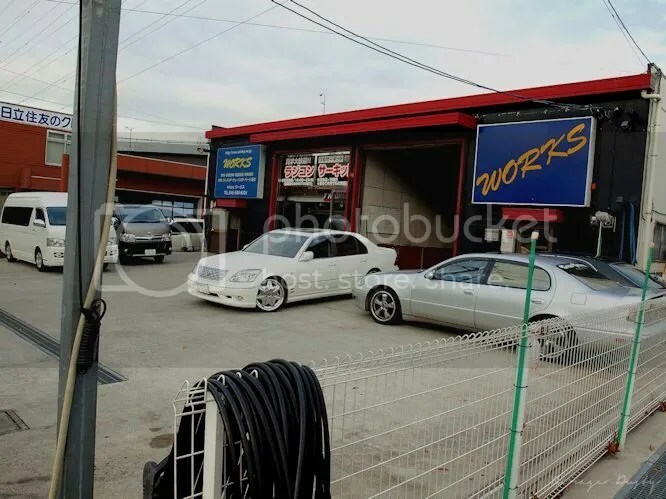 We also saw an R32 drift car with straight pipes, an R35 GTR being punished away from the lights, an angry sounding Altezza, a VIP Odyssey that was so low it could barely make it into the driveway of a convenience store, a slammed USDM-styled Civic 4 door, a Mugen Civic Type R, and a constant parade of VIP cars and vans. 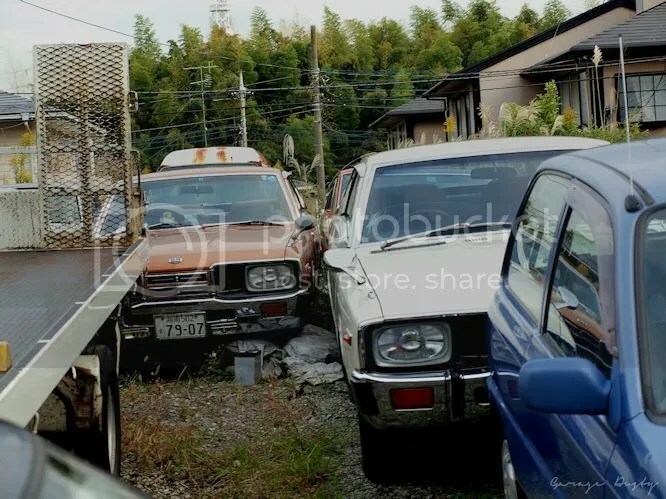 Not to mention the amazing little houses, perfectly manicured gardens and the little slices of life that Japan provides. Today was just ridiculous. We never did make it to Weld. Or to Up Garage, for that matter. Guess we better go back tomorrow then.